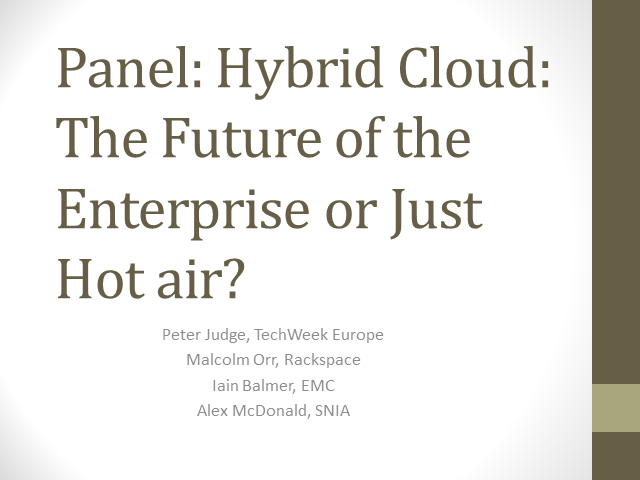 Panel: Hybrid Cloud: The future for the enterprise, or just hot air? Panel: Your Network vs the World: Can You Win? Panel: BYOD: If You Cannot Fight it, How Will You Secure it?